This is the final show of the Jazz tour. Freddie's vocal range is still lacking (although he has had worse shows), but he makes up for any shortcomings with passion. And even though it's the last show of their longest tour yet, the band are still a force to be reckoned with. Mercury decides to cut out the third verse of the fast We Will Rock You. The song would eventually be performed this way by 1980. "This is the last show on this tour, and it's really nice to be doing it in Sapporo. So we're gonna be working our buns off, and... please enjoy yourselves. This is a song written by John Deacon (he hesitates for a moment, but he ultimately never forgets who wrote the song) entitled If You Can't Beat Them, join 'em!" 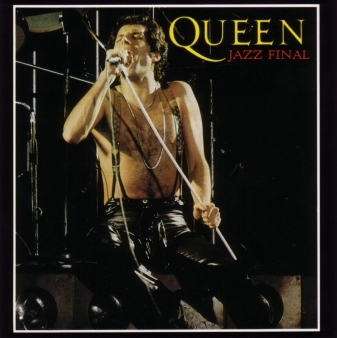 It is an excellent version, with Brian May delivering one of his many great guitar solos of the evening. Roger throws a nice flurry of tympani rolls into Freddie's piano intro to Death On Two Legs. Near the end of the medley, Brian decides to go with the neck-bridge out of phase pickup selection (the same setting he used for Stone Cold Crazy) for the You're My Best Friend solo, resulting in a very punchy sound. 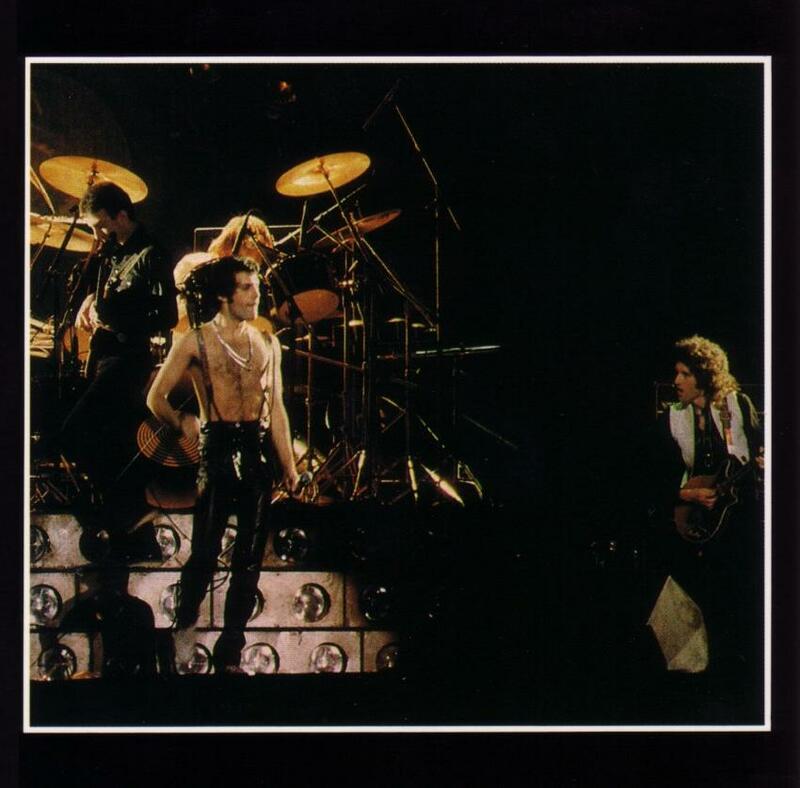 Freddie throws in a few lines from Liar into the extended Now I'm Here vocal exchange with the audience ("Mamma I'm gonna be your slave, all day long"). Without a doubt they knew every word of the albums, whether or not they spoke English to begin with. 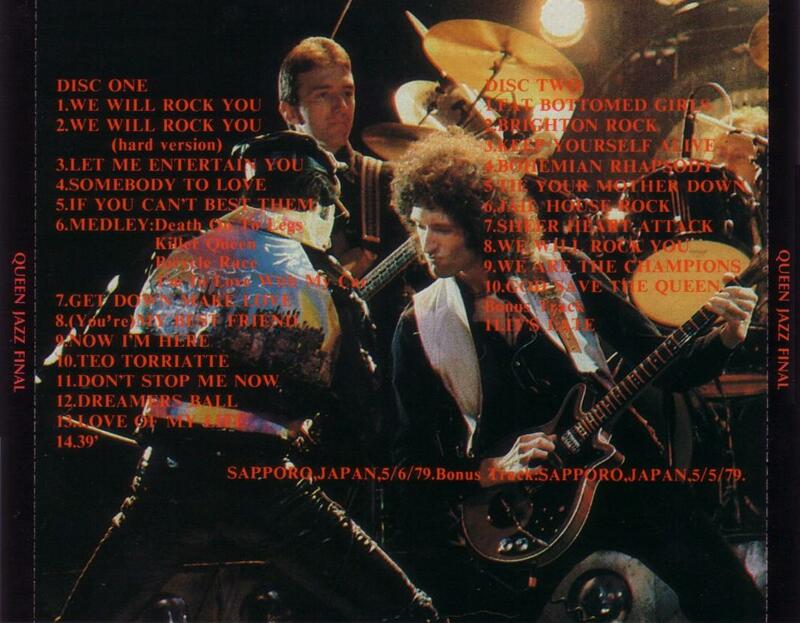 This Japanese audience is a very enthusiastic one, as Freddie notes after the song, "You're a rowdy lot tonight." At many points during the show, Freddie thanks various people for their hard work over the past 6+ months. 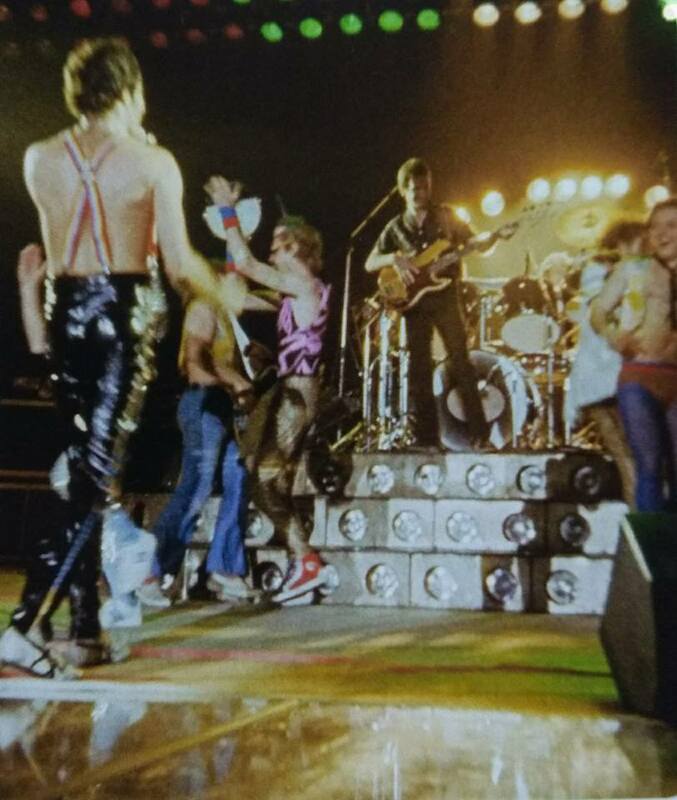 After Teo Torriatte, when he recognizes tour manager Gerry Stickells and his group, in the background Roger says, "Geriatrics", which Freddie finds greatly amusing. A long version of Don't Stop Me Now follows, with an extended middle section including a lot of shouting out from Roger from behind the kit. Some crew members join Queen on stage dressed in the band's spare stage outfits, and dance along to the music (as seen in the photo above). After the song, Freddie says, "Yes, we'd like to thank the blue bells. The blue bells, the last number." There were plenty of inside jokes, no doubt. Before '39, Brian introduces Freddie as "your friendly maraca salesman." Fat Bottomed Girls returns to the setlist for the last night's sake. Freddie's Brighton Rock introduction is one for the ages: "It's supper time right now, and John, Roger, and Brian are gonna do their stuff. This is... are we ready, girls?" Freddie does the Fun It reference one last time during the intro of Keep Yourself Alive. Like the last night in Paris, they play Jailhouse Rock in the encore - but here it leads straight into Sheer Heart Attack. Tonight marks the last time they'd play We Will Rock You at the beginning of the show with the stomp-stomp-clap on tape. These are also the final performances of Bicycle Race, Dreamers Ball, It's Late, and the full Keep Yourself Alive. Brighton Rock would be dropped from the setlist as well, but it would be heard at least once on the Crazy tour. It's Late is tagged onto the end of disc 2 as a bonus track, allegedly from the first night as the cover suggests, but it's most likely from this night as well, since the quality is identical to the rest of the show. The recording (including the 'bonus track') runs a half-semitone slow. It's Late is moved to its proper spot, and the speed is corrected. This is one the longest Queen shows ever. The recording clocks in at 127 minutes with the speed corrected.